(he still uses the wand given to him on that occasion). He was fortunate, at that time, to live in South Ayrshire, the home of Johnny Ramsay. Over the years he became quite friendly with this famous magician who greatly influenced his approach to magic. In recent years he has, under the name Kennedy Smith, contributed to various magic magazines such as The Magigram and Club 71 and in 1982 published the book Rubik Cubik Magik. 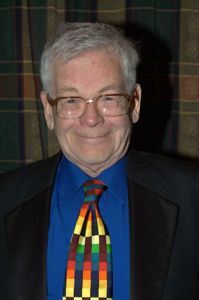 In 1997 he won the first prize for a contribution to Repro Magic’s magazine Club 71, and second prize in 2001. His magic is of the simple sleight of hand variety having, at different times specialised in thimbles, coins and Rubik cubes. His main strengths are cabaret and close-up. Archie has been a member of Forth Valley Magic Circle since 1982 and was club president from 1996 to 1998.